STORE IT or MOVE IT all home? 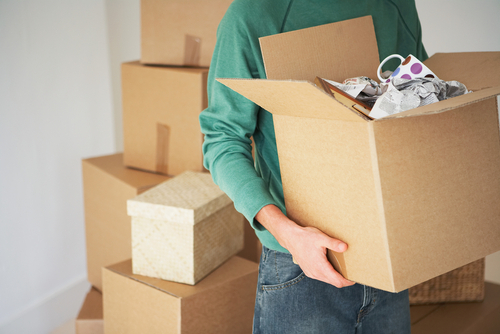 Whether you’re moving in with Mom and Dad for the summer, going away nationally for an internship, or are studying abroad, a self storage unit with Birkmire’s Big Box Storage Solutions can make the move out of your dorm room easy and stress-free! Your items remain close to campus and your summer place stays clutter-free while you avoid the hassle of hauling everything home and back. Birkmire’s Big Box Storage makes moving in and out of your dorm a breeze. We deliver a unit (s) to your campus on the day you desire, you pack your unit, we pick-up and store your items until you notify us of your desired delivery for your next semester. We then deliver AGAIN to your dorm, your items to be unpacked after they have been stored safely and secure in our warehouses for your determined duration. WHAT IS THE MOST CONVENIENT TRANSITION FOR YOU? Most campus residence halls do not offer solutions for summer storage and require students to remove all of their belongings over the summer. This leaves the students with two basic choices, MOVE IT all home or STORE it in a practical short-term storage facility. Let’s compare using a storage unit to moving everything home over your summer break. COST – For those who have a lot of stuff and a long trip home, a car may not cut it. If you have large furniture to take home, you could end up renting a moving truck. Moving truck rentals are often based on distance but can easily cost $100 or more for a one-way trip. You can save yourself a lot of money and hassle by renting a storage unit for the summer. CONVENIENCE – Moving everything home just to move it all back to school a few short months later is the opposite of convenience. Packing dorm belongings in one of our Big Box Units (on-site) and allowing us to keep it safe in our secure storage unit warehouse is a much more convenient option. Additionally, it leaves valuable square footage available in your summer home. SHORT TERM RENTAL – Big Box Rentals are offered to students with flexible leases on a monthly basis You won’t be stuck in a lease longer than you need it. We understand that your storage is a seasonal need. At Big Box Rentals by Birkmire, you only rent the unit(s) you need to suit your needs!